3/26/2019-PETS- Happy Seventh Birthday Scruffy! -My not so little baby boy Scruffy turns seven today 🙂 I always say it doesn’t feel like it’s been that long and that still holds true. I plan on having some more pics on the WWJ INSTAGRAM PAGE of Scruff and his cupcakes later today Here’s to another trip around the sun Scruffy! 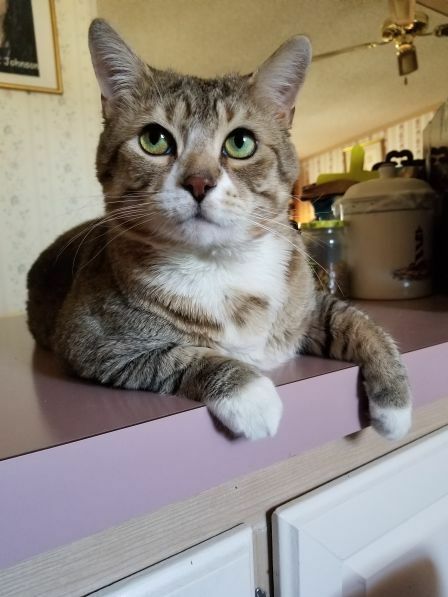 This entry was posted in BIRTHDAY, PETS, SCRUFFY and tagged birthday, cat, cats, CuteCat, Furbaby, Happy Birthday, Instagram, kitty, love, pets, scruffy, wayne w johnson, WWJ. Bookmark the permalink.